Discussions Magazine Music Blog: deadmau5 goes indie! The electronic artist signs with Kobalt Label Services! deadmau5 goes indie! The electronic artist signs with Kobalt Label Services! NEW YORK, NY – October 8, 2015 – Kobalt Label Services (KLS) announced today they have signed a label services agreement with the pioneering electronic artist, deadmau5. The agreement will cover the artist’s forthcoming album release, due in 2016 via his own label mau5trap with deadmau5 retaining full ownership and control of his rights. The agreement will encompass the full range of services which KLS offers its clients, including digital distribution, physical distribution, marketing, international marketing and synch licensing. Kobalt also signed a deal with mau5trap to provide digital distribution, synch licensing and other label services for mau5trap releases. In addition to signing with KLS, deadmau5 is also signed to Kobalt Music Publishing under a worldwide agreement. "deadmau5 is an artist who does things his own way, a truly original voice in music. He's an electronic music producer, entrepreneur, and innovator extraordinaire; he's at the height of his career and all of us at Kobalt are totally committed to supporting him and the work he does with his label," Richard Sanders, President of Kobalt, commented. Dean Wilson, President of Three Six Zero Group and deadmau5’s manager, added, “With how big streaming has become, alongside Joel’s desire to interact directly with his fans via his own live platform, it was important to the entire team that we had clear transparency on all aspects of his music facing business - sales numbers, streams, Youtube, syncs etc - that way we could all move quickly and make marketing decisions in real time. Kobalt are the perfect partners for both deadmau5 and mau5trap and we’re all very excited for the next chapter." 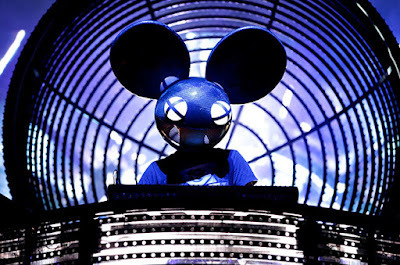 Canadian-born Joel Zimmerman, known as “deadmau5,” is a leading figure in electronic music. He has seen international chart success with "Faxing Berlin," “Sofi Needs a Ladder,” “Ghosts ‘n’ Stuff,” “I Remember” and "The Veldt.” deadmau5 has received six GRAMMY® nominations (performed at the 54th GRAMMY® telecast) and has won multiple JUNO Awards. He is the first electronic artist in the history of music to grace the cover of Rolling Stone and to headline (and sell out) the Toronto's Rogers Centre and London’s Earl’s Court. He maintains an impressive following on social media and headlines the biggest festivals worldwide. deadmau5 is a dedicated artist with an unparallelled level of passion for the creation of music, with an individualistic nature that sets him apart from the crowd. Donning his custom mau5heads during stage performances, he has formed his own brand to couple his incredibly unique sound. A major touring act, he has headlined Lollapalooza, Outside Lands, Budweiser Made In America, Sonar, Virgin Mobile FreeFest, Coachella, Ultra Music Festival, HARD Day of the Dead, and Creamfields, and sold out Rogers Centre in Toronto and PETCO Park in San Diego, CA as well as multiple consecutive nights at legendary venues like the Roseland Ballroom in New York, NY and the Palladium in Los Angeles, CA. His long-awaited 2015 tour debuted a new stage show nicknamed ‘The Dome’ by his fans and is currently making its way across the globe. deadmau5’s new recording studio is currently in construction and new music is in the works for 2016. This October he’ll take the stage at Austin City Limits, Treasure Island Music Festival in San Francisco, CA and HARD Day of the Dead in Southern California, prior to rounding out the year with a NYE show in Chicago, IL. Kobalt is the leading independent music publishing and global music rights management services company. Kobalt’s Music Publishing, Label Services, and Neighbouring Rights divisions each offer an alternative to the traditional music business model, empowering artists, songwriters, publishers and labels with advanced technology, transparency, flexibility, ownership and control. Kobalt’s innovative technology solutions are designed to maximize efficiency and accuracy across the billions of micro-payments collected in today’s highly complex digital world. Kobalt has experienced tremendous growth year-over-year through the past decade and now serves over 8,000+ songwriters and over 500 publishing companies worldwide. Kobalt works with many of the world’s greatest artists and songwriters, representing on average over 40% of the top 100 songs and albums in both the US and UK. Kobalt has built the most trusted brand in music among music creators including Beck, Dr. Luke, Foo Fighters, Kelly Clarkson, Maroon 5, Max Martin, Paul McCartney, Pitbull, Ryan Tedder, Sam Smith, Skrillex, and others. Kobalt offers its clients a variety of services, including creative services, synch & brand partnerships, global licensing management, neighboring rights, works and rights distribution, royalty collection and processing, online data and royalty statements, record release management, and digital marketing and monetization.